﻿ Wooden Window Shutters Winchester &… | The Great Shutter Co. Solid plantation shutters have been used not just as an external window covering to protect against the elements, but have been used as internal shutters for hundreds of years and were very common in Georgian houses where they were folded into bespoke recesses. 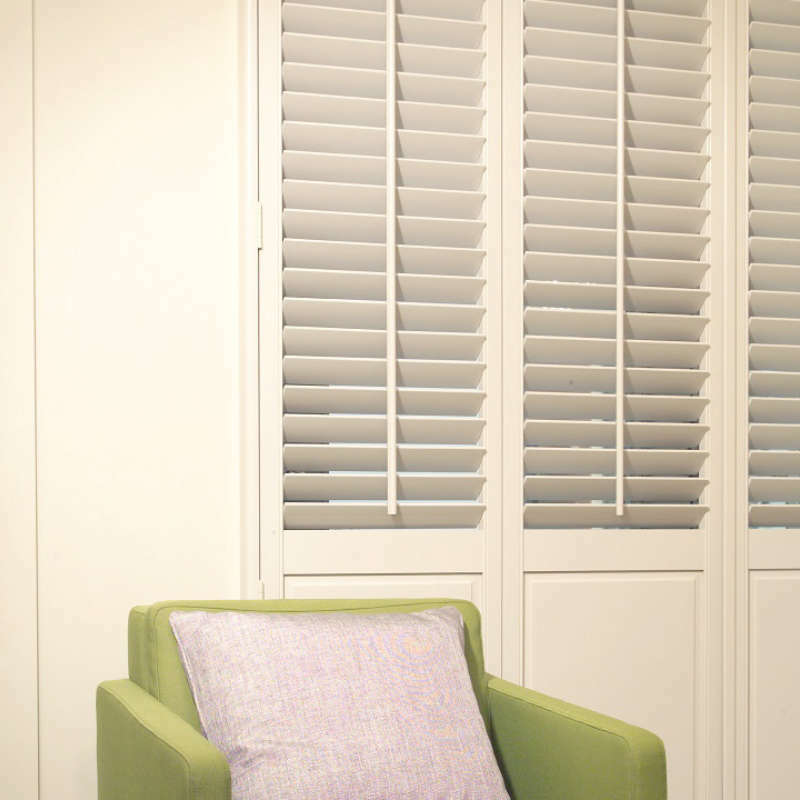 Did you know we can even custom colour your quality solid shutters to make an amazing statement in your home. What are the benefits of solid shutters? Solid shutters do have benefits over louvered shutters in certain cases. 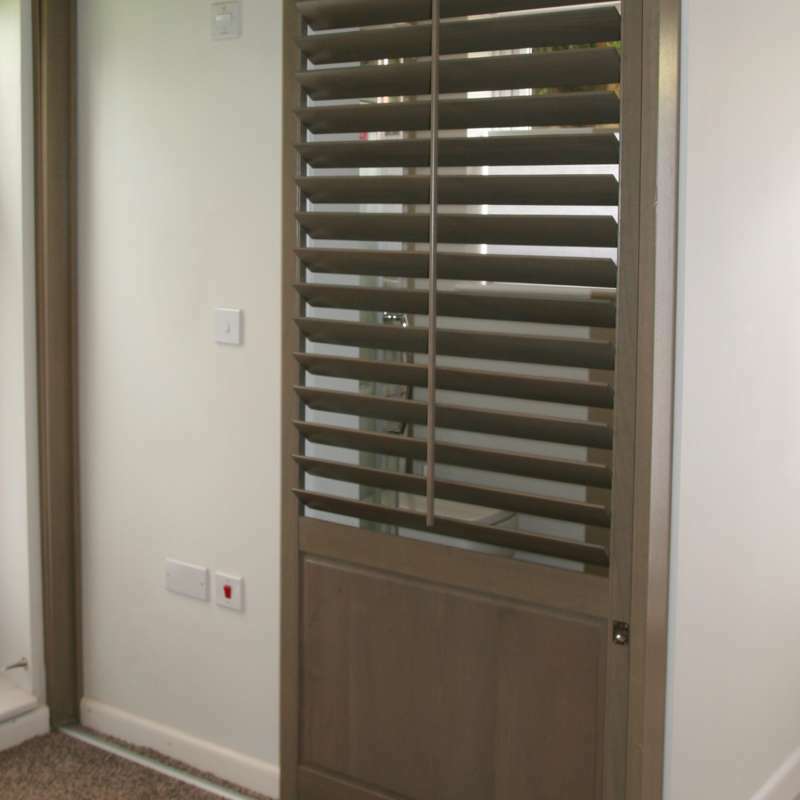 If you are looking for a shutter that provides a higher degree of blackout then a solid shutter could be the right choice, but you do lose the flexibility of adjusting louvres to temper light. You may be better off choosing our louvered shutters with integrated blackout blind. This would make a great choice for a nursery shutter for example. Solid wood shutters are also a great choice where you are looking to replicate the original period shutters that may have been in place in the property. 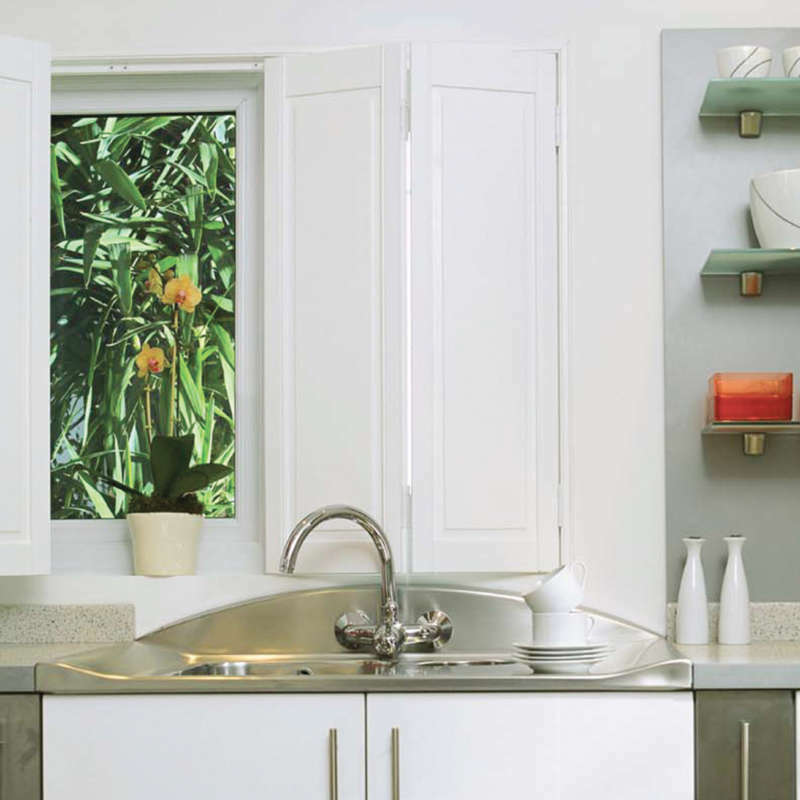 Our solid shutters can be supplied with a decorative rebate that gives the panels a lovely designer touch. Can I mix solid shutters with louvered shutters? Yes of course you can mix solid shutters with louvered sections and this has some benefits. If, for example, your shutters come all the way to the floor a solid bottom section may not only look more appealing, but provide a more robust shutter protecting from wear and tear from children or animals. 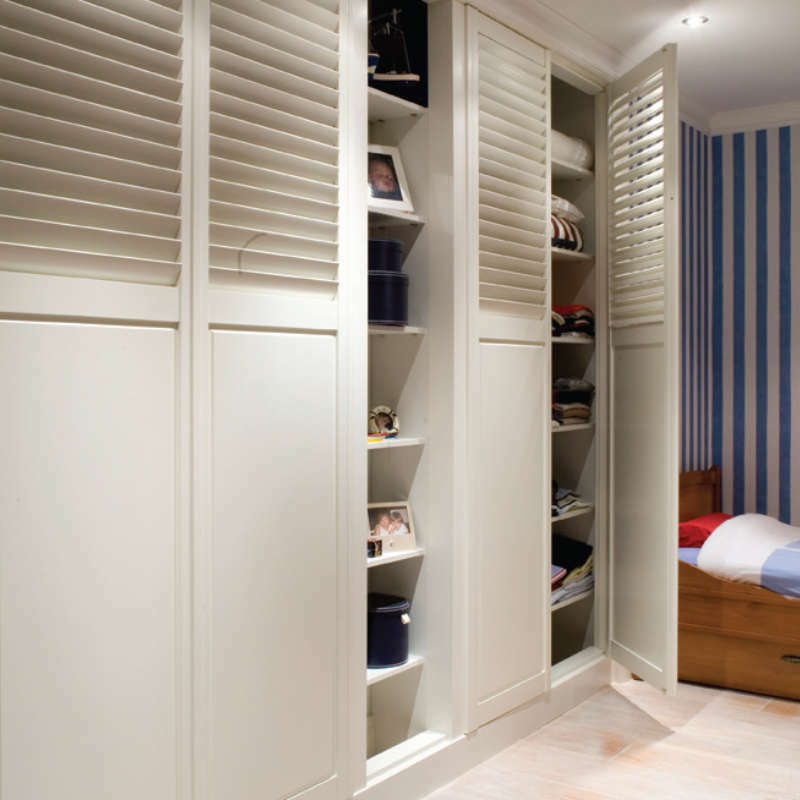 You will often find solid sections combined with louvers when we create cupboard doors or sliding doors – see our installation for bathroom doors in Winchester – and this can look absolutely stunning and have the added benefit that you can let cupboards air easily or let light through a room partition when need.